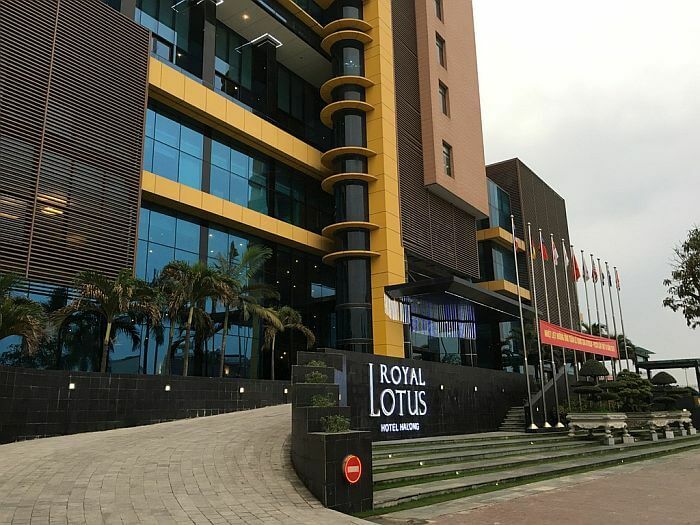 When you pull up to the Royal Lotus Hotel Halong it’s clear before you even step foot inside, the property has a modern outlook on life. One of the newer residents in the growing Vietnamese city of Halong Bay, it gives off a bit of a contemporary shine. 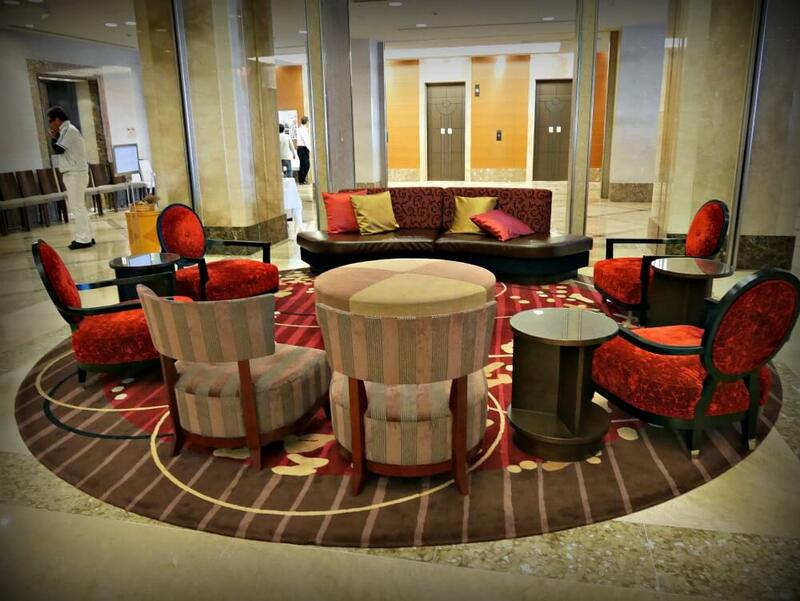 The hotel’s 147 rooms have an avant-garde feel, with a blend of French and Asian design. 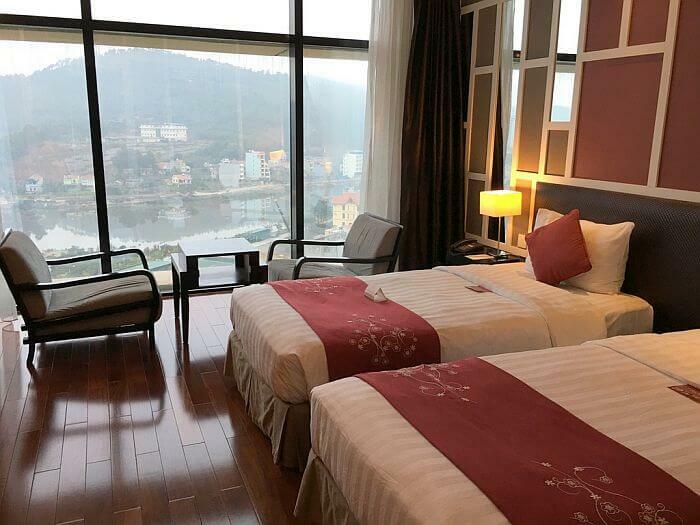 Each room has views of Halong Bay or the city. My 12th floor room had two twin beds, a desk large enough to actually work at, and two comfy, window-side sitting chairs to enjoy the mix of city and bay views. The room was spacious and comfortable, but electrical outlets are not easy to access. You’ll either have to move some furniture, or plug in close to the floor, just off the main walkway from the beds to the bathroom. Like the guest room, the bathroom had a newfangled feel. A large window served as the glass wall between the shower and the bedroom, with a set of blinds for those who preferred more privacy. The toiletry selection went well beyond shampoo and shower gel. If you have to forget something, the Royal Lotus Hotel Halong is the place to be when it happens. Along with tooth paste and a toothbrush, there was a shaving set, comb, vanity kit, sewing kit and expected shower cap. 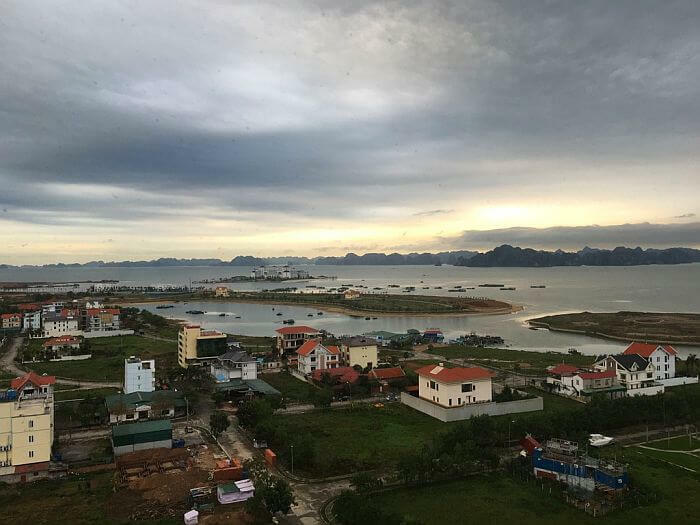 The hotel is an easy five minute walk into downtown Halong and even closer to the Cai Dam Night Market, but what guests really come to see is UNESCO World Heritage Site Halong Bay. More than 3000 islands dot the bay. Along with scenic views, visitors can venture into caves like Sung Sot to see stalactites and stalagmites. Boats leave from Halong Pier, a five minute drive from the hotel. 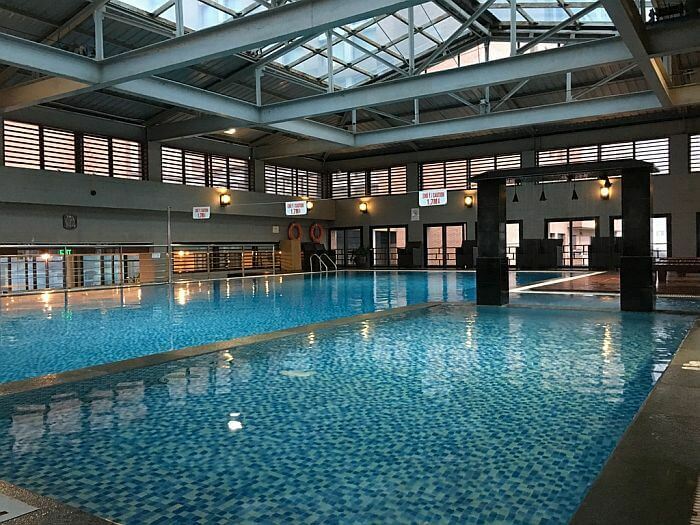 Many guests are part of tour groups and spend very little time at the hotel, but there are some good amenities that can nicely round out a busy day. Some weary travelers take advantage of the on-site Bai Bua Thai Spa. Open until 11pm, it makes squeezing in a massage a possibility without giving up seeing any sights. The indoor swimming pool is large and impressive, but the access is a bit awkward. You have to walk through a restaurant dining area to get there. Make a point to visit the Rooftop Bar. Day or night, the views are photo worthy. Daily buffet breakfast can be included with your stay. Offering a little bit of everything, from Vietnamese to Western cuisine, it’s one less thing to think about at the beginning of your day. Internet access is complimentary, but I found I lost connectivity when I moved from floor to floor, and had to login in multiple times. The signal in my room was consistent. The hotel is about a four hour drive to Hanoi’s Noi Bai International Airport. Rates start as low as $52 per night. You can make your reservations directly through the hotel website or use Travelocity or Expedia. Review and photos by Dana Rebmann.